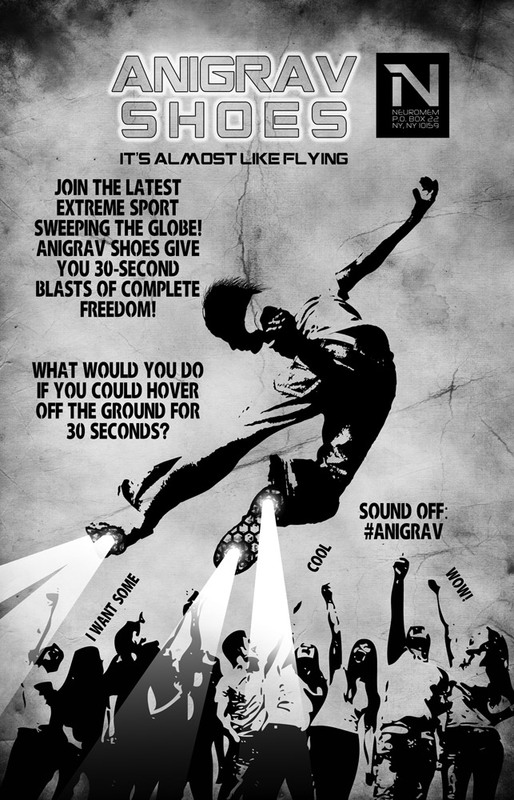 Anigrav Shoes, Join the latest extreme sport sweeping the globe! Here's the full ad that runs in the back of my book. I happened to run across this article on Inverse.com and had to repost it here. When I started writing my neo-noir, cyberpunk graphic novel Prisoner of the Mind, I wanted to think about what the future of advertising was going to look like. It turns out that Nasa had the same idea. 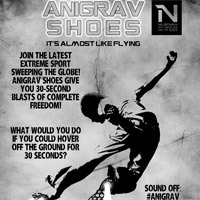 Check out the article below and see my mock up ad above.